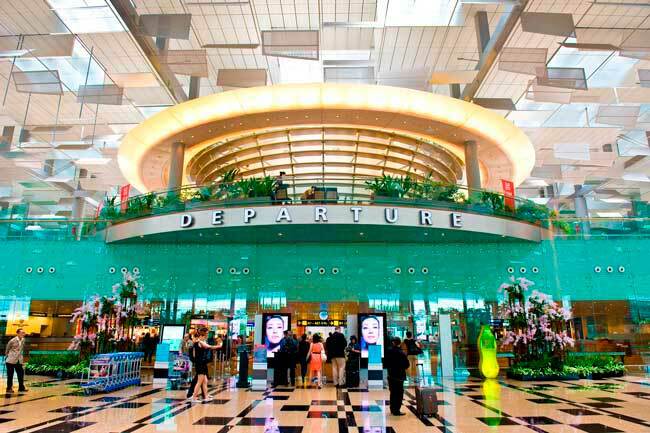 Find on this website useful information about Singapore Changi Airport, the largest hub in Southeast Asia: Departures, Arrivals, Terminal information, Amenities and Services, Parking, Transport, Hotels, Car rental, and many more information. Plan your travel to SIN Airport with the information provided in this site. Singapore Airport, known as Singapore Changi Airport (IATA: SIN, ICAO: WSSS) is considered the major aviation hub in Southeast Asia and for the sixth year in a row the best airport in the world. 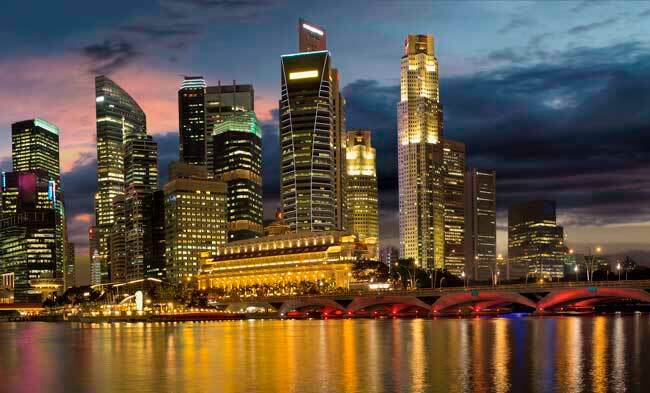 It is located 20 km northeast of Marina Bay, Singapore's central district. Singapore Airlines has its main base in Changi Airport. Singapore Changi Airport is one of the busiest airports in the world, where each week depart 7,000 flights. 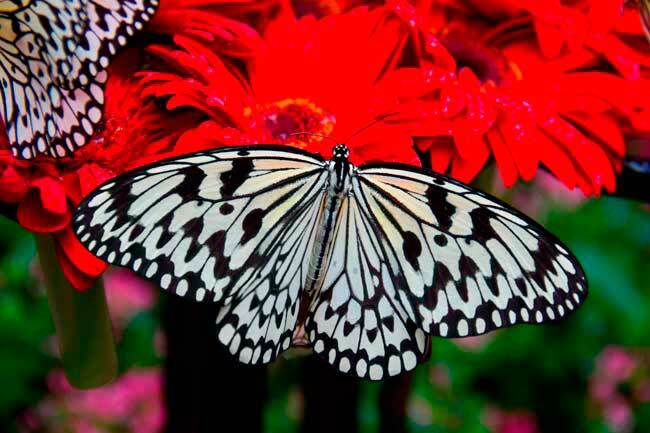 In Changi Airport there’s the single and only butterfly garden in an airport in the world. You can move between terminals by the SkyTrain, a fast and free shuttle. Changi Airport features by its modern and artistic facilities, which easily combines usability, comfort and delight for your senses. 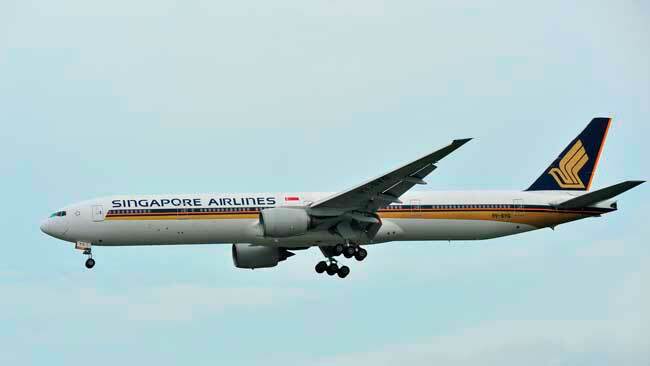 Terminal 3 hosts Singapore Airlines, Singapore’s national flight partner. Changi Airport is located 25 km of Singapore city, one of most modern and developed cities in Southeast Asia. Changi Airport offers service to 400 cities in about 100 countries around the globe. In 2017, Singapore Changi Airport handled 62,219,573 passengers, the largest number in its 35-year history. Singapore Changi Airport consists of 4 passenger terminals (Changi Terminal 1, Changi Terminal 2, Changi Terminal 3 and Changi Terminal 4). Singapore Changi Airport Terminals 1, 2 and 3 are interconnected by the SkyTrain. Singapore Changi Airport Terminal 4 is connected to the other airport terminals by a shuttle bus service 24/7 that departs from Changi Terminal 2. Terminal 5 is expected to be ready by 2030 and will handle over 50 million passengers yearly. Changi Terminal 3 operates with services to North America, South America, Europe, East Asia and Oceania. Please note that Singapore Airlines only operates from this terminal. See more info. Other Singapore Airport Services: VIP lounges, Family and baby rooms facilities, several meeting rooms and prayer rooms. 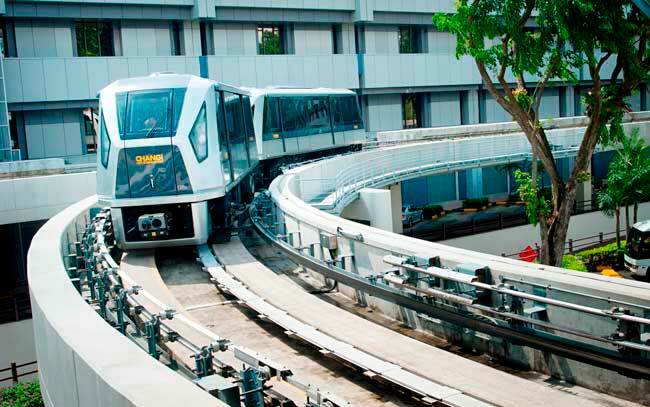 By the MRT it is possible to get to downtown Singapore within 25 minutes from Changi Terminal 2. Bus route 36 and 36A/B are the ones that takes you straight to downtown.There are other services which also takes you to downtown at Changi Airport, see the bus section for further details. Get within 30 minutes to Singapore city centre. Please note that there's a surcharge for trips originating from Changi. Singapore Airport car rental is the best way to explore the area on your own! You can rent your vehicle online through our search engine! Lost and Found: Please note that in order to retrieve lost items within the Singapore Changi Airport Terminals, passengers should fill the lost items web form at Singapore Changi Airport official website. Contact number: +65 6224 4243 (Singapore Airlines), Terminals 1-4: +65 6597 4500. Opening hours: 7.00 am – 11.30 pm. Customer Service Office: (+65) 6595 6868.